You're going full stream in the morning, finishing your work assignments. You take a break for lunch and then get back to your desk. At about 2p.m, you find your attention wandering and focus dwindling and all you really want to do is take a nap. Does this sound familiar? It's all quite normal to feel tired once the afternoon rolls around. 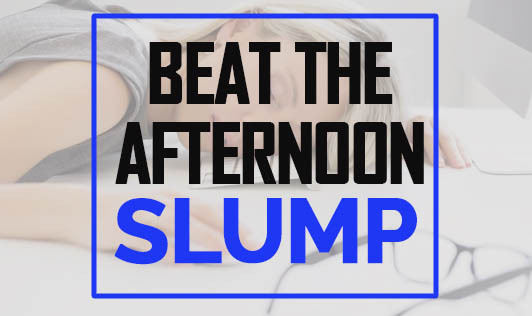 Circadian rhythms, which have an effect on our sleep pattern, may be to blame for the midday-slump. According to Sleep expert, Michael J Breus, "Midday sleepiness is like a miniature version of the drowsiness you feel just before bedtime. It has to do with a dip in your core body temperature. Right before you go to sleep at night, your core temperature begins to drop, which is a signal to the brain to release melatonin. The exact same thing happens on a smaller scale between 2 and 4 in the afternoon. It's a mini-signal to your brain to get sleepy." Additionally, one's eating habits also plays a crucial role in this aspect. • Stretch, as it can provide a quick boost of energy. • Move around. A change of scenery may boost productivity. • If you've been working on the same project all day, you might want to switch to another. • Listen to your favourite music as this might help you focus and feel more energized. • Start sipping on water to avoid dehydration and its sleepy effects. • Take a 5 minute break to do something besides work. Call a friend or do a crossword puzzle in order to give your mind and body a break before getting back to the grind. So, the next time you're on the verge of falling asleep, try the above!